At Jaydeep Steels, we manufacture and supply a wide range of Hastelloy Bars & Rods belonging to different shapes, sizes, material grades, etc., to national as well as international customers. Our bars and rods offer excellent property like resistance to corrosion, resistance to strong solutions of oxidizing salts, low-carbide content, and much more. Hastelloy Rods are used in resistant to general corrosion, crevice corrosion, intergranular attack, pitting, and stress corrosion cracking. They are available in grades like C22, C276, B2, B3 etc. and provide excellent corrosion resistant properties. 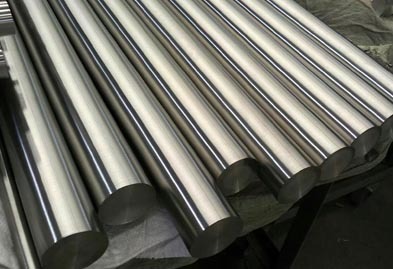 Keeping in mind the varying needs of our vast range of customers, we make sure that Hastelloy Bars and Rods manufactured at Jaydeep Steels are available in Shapes like Hastelloy Round Bars, Square, Rectangular, Hexagonal, etc., and forms like Polished, Hot Rolled, Cold Rolled, Annealed etc. With the help of our state-of-the-art technology and vast infrastructure, we manufacture Hastelloy Forged Bars & Rods by the open die forging method. Hastelloy Bright Bars & Rods are produced by doing further processing in cold reduction mills. We manufacture Hastelloy Cold Drawn Bars & Rods by pulling the initial stock via a die in cold temperature or room temperature without any heating. Hastelloy Cold Drawn Bars & Rods have advantages like close tolerances and smooth surface finish. Hastelloy Threaded Bars & Rods produced by us are widely used in construction work and various other small and large projects. Contact us today and request a free quote! Range 6 mm to 120 mm. Form Round, Square, Hex (A/F), Bush, Rectangle, Flat, Wire Mesh. Jaydeep Steels stocks a wide range of materials and grades. 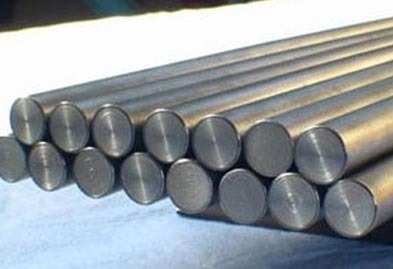 Below are a list of all standard hastelloy bars and rods materials and grades we stock. Our experienced team of metal experts will get you the metal you need when you need it. Call us today for your Hastelloy Bars & Rods Needs!